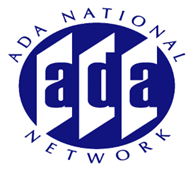 If you are familiar with the basic requirements in the ADA and ADA Accessibility Standards for transient lodging facilities and are ready for a more “advanced” discussion of these provisions, this is the session for you! The Access Board will partner with the American Hotel and Lodging Association to provide an overview of the scoping and technical requirements for transient lodging facilities and to respond to your burning questions. Session participants are encouraged to submit your questions in advance regarding transient lodging facilities to include amenities, such as swimming pools, fitness facilities, spas, restaurants, and conference rooms offered by the facility.